This post was published at Wall Street Examiner on November 17, 2017. This post was published at Zero Hedge on Nov 15, 2017. “Governments love [the war on cash]. Then they can control you…we are not going to have as many freedoms as we have now …get prepared because we’re going to have the worst economic problems we’ve had in your lifetime or my lifetime and when that happens a lot of people are going to disappear. 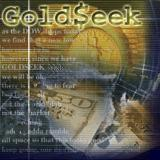 This post was published at GoldSeek on Wednesday, 1 November 2017. As our elected officials in Washington D. C. continue to debate whether or not Trump’s proposed border wall would be an effective deterrent to those looking to come to the U. S. illegally, the one thing that is becoming increasingly clear is that Mexico’s drug wars are spiraling out of control…a fact that the Trump administration will almost certainly leverage as it seeks additional funding for border security. As PanAmPost notes, Mexico has recorded a staggering 24,000 homicides in 2017 through September with 73% of those murders being tied to organized crime. 2017 might be the most violent year in Mexican history, one NGO claims. Semforo Delictivo said that, due to the 24,000 homicides between January and September, the year is proving even worse than 2011, when President Felipe Caldern’s war on drugs led to 22,000 homicides. All high-impact crimes have increased during the current year, including abductions, homicides and grand theft auto at gunpoint. According to Roel, the main cause of violence and corruption is the ‘Mrida Plan,’ which focuses on eradicating drug cartels. This post was published at Zero Hedge on Oct 26, 2017. NCAA Violations Are Now Federal Crimes? Recent federal criminal charges of conspiracy and wire fraud brought against four assistant college basketball coaches and executives from Adidas seem to be popular in the mainstream media, judging from the numerous articles I have seen about the story. For that matter, even some libertarians, noting their belief that college sports are ‘corrupt,’ are cheering on federal authorities. I am not one of the cheerleaders for this latest intrusion of federal criminal law into what essentially is peaceful, private activity, National Collegiate Athletic Association rules aside. While most journalists seem to see this as an example of federal authorities riding in on their white horses to save college basketball from the scourge of ‘corruption,’ I see this as the government destroying lives for no good reason and protecting the sources of the real corruption at the same time. Far from ‘cleaning up’ major college sports, this is a classic bait-and-switch operation in which federal authorities are conspiring to redirect resources from those that should have it (if we actually hold to the belief that individuals should be compensated for their contribution of added wealth to the economy), all the while claiming they are ‘protecting’ the very people being robbed. As Gary North recently pointed out, the NCAA is a cartel – a multi-billion-dollar cartel, I would add – that claims to be protecting the ‘holy’ principle of ‘amateur athletics.’ All the while, it’s ensuring that the main factor of production for collegiate sports – the labor of individual collegiate athletes – receives minimal or even no compensation at all. The current compensation scheme – athletic ‘scholarships’ for athletes – is tantamount to a rule that states that Kevin Durant, the 2017 Most Valuable Player for the National Basketball Association, can receive compensation only equal to that of the lowest-paid player in the NBA, while NBA coaches and executives run off with the majority of the funds generated by professional basketball. This post was published at Ludwig von Mises Institute on October 2, 2017. In this week’s MacroVoices podcast, Erik Townsend and Joe McMonigle, former chief of staff at the US Department of Energy, discuss the state of the global energy market, and OPEC’s rapidly diminishing ability to control oil prices. McMonigle believes investors will be hearing more jawboning from the Saudis, OPEC’s de-facto leader, over the next two weeks as they try to marshal support for extending the cartel’s production-cut agreement past a March 2018 deadline. Of course, anyone who’s been paying attention knows the cuts have done little to alleviate supply imbalances that have weighed on oil prices for years. In a report published by the International Energy Agency earlier this month, the organization notes that non-compliance among OPEC members, and non-members who also agreed to the cuts those non-members who also agreed to cut oil production, increased again in July. According to the IEA data, non-compliance among the cartel’s members rose to 25 percent in July, the highest level since the agreement was signed in January. Meanwhile, noncompliance for non-members rose to 33%. This post was published at Zero Hedge on Aug 26, 2017.